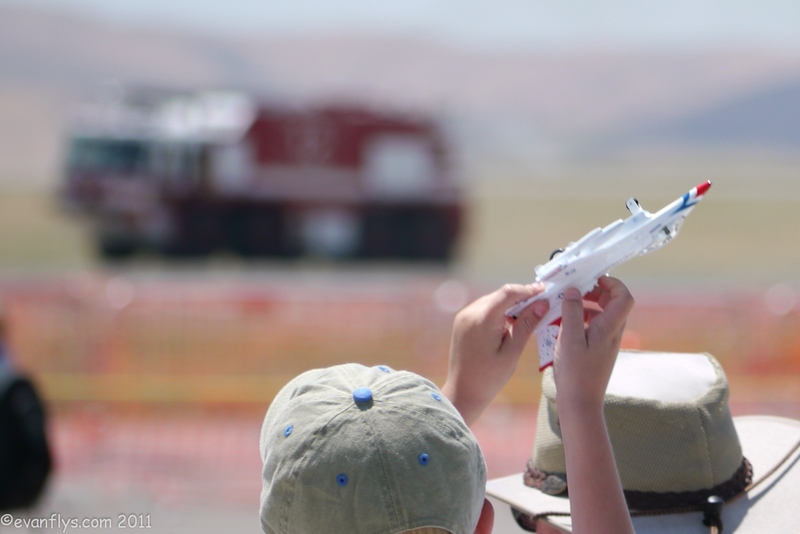 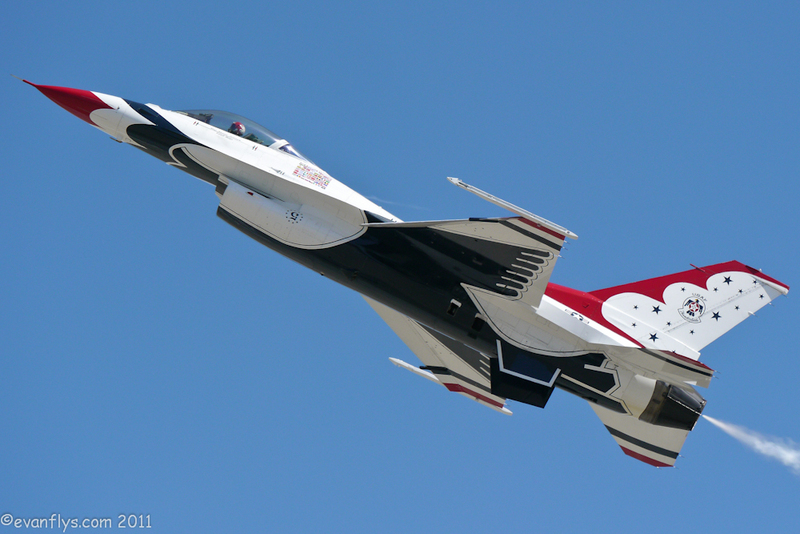 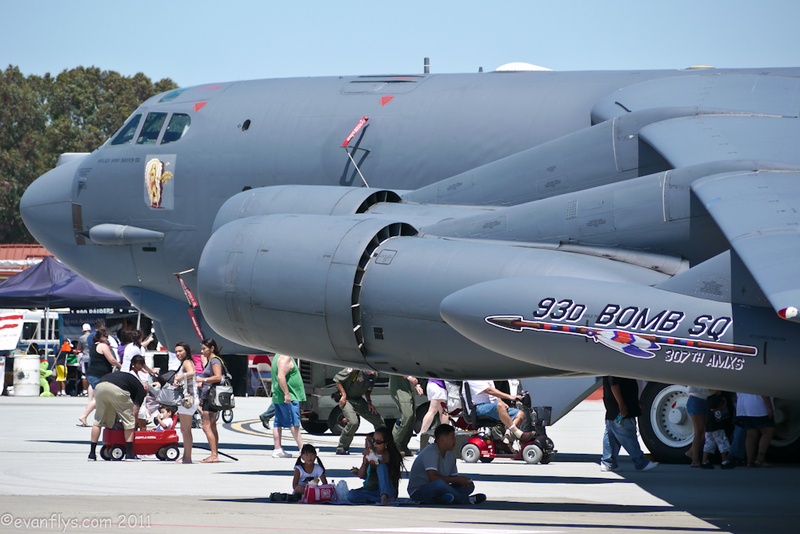 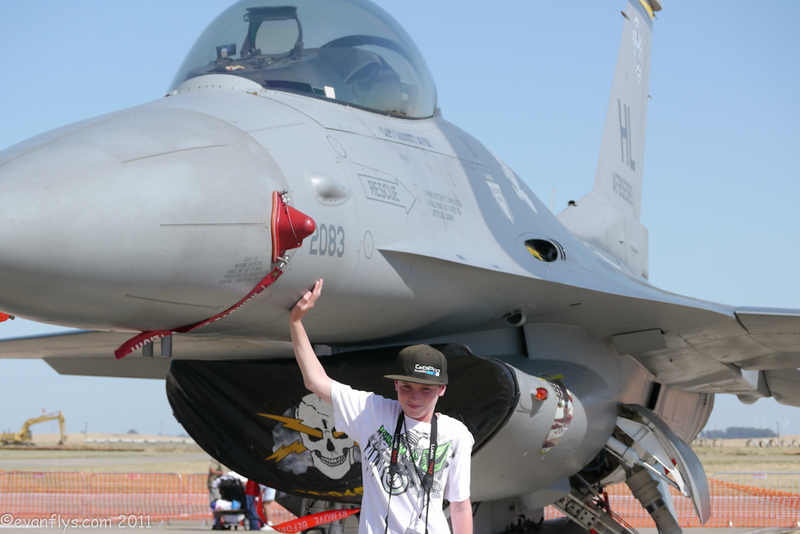 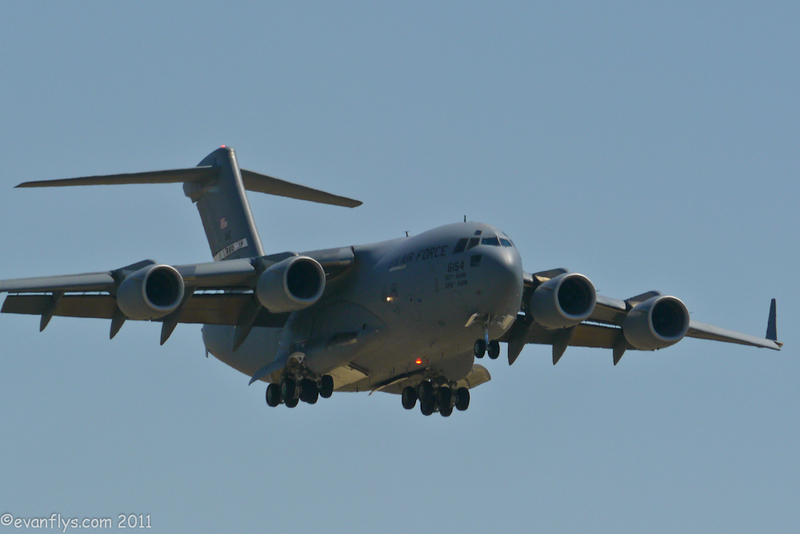 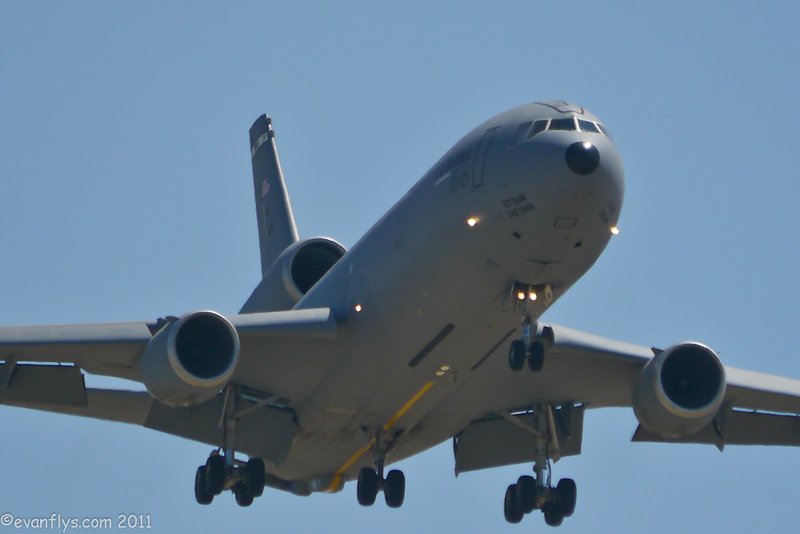 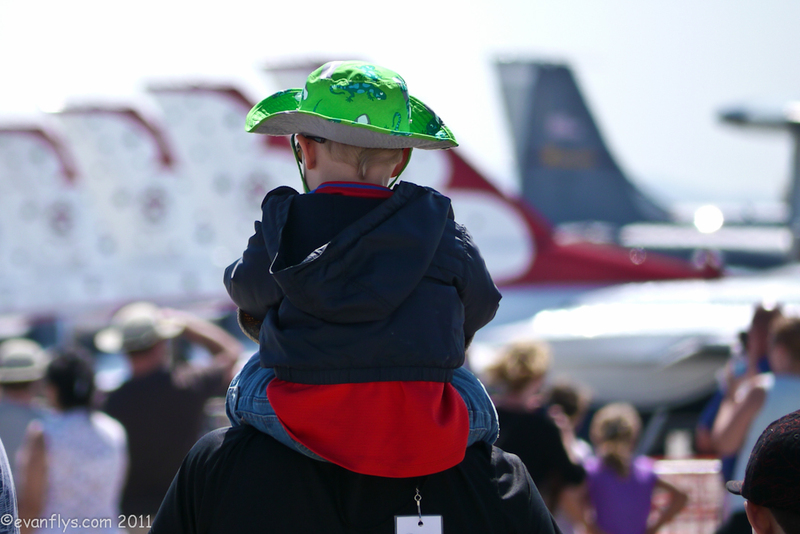 I loved the 2011 Travis Air Expo at Travis Air Force Base. 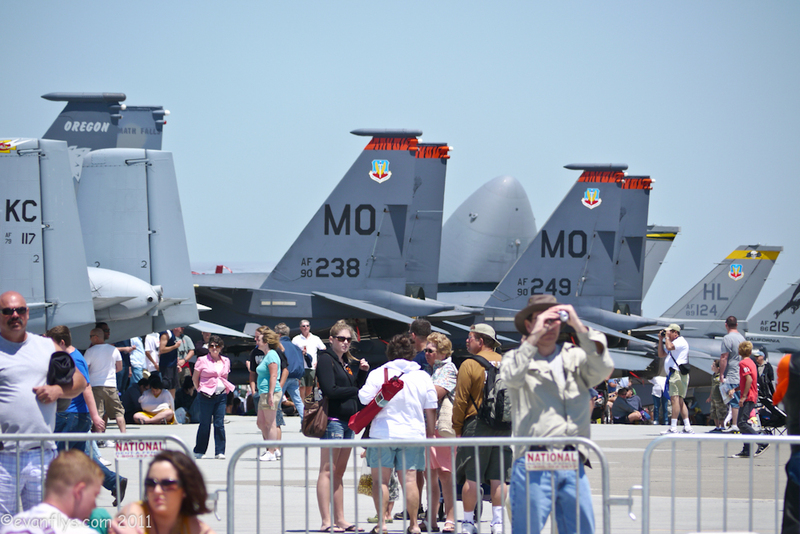 It's always a great show, and this year was awesome. 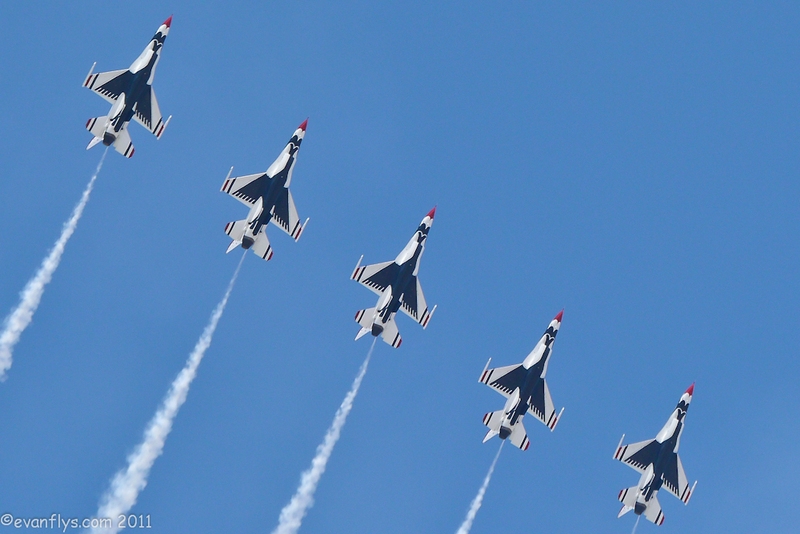 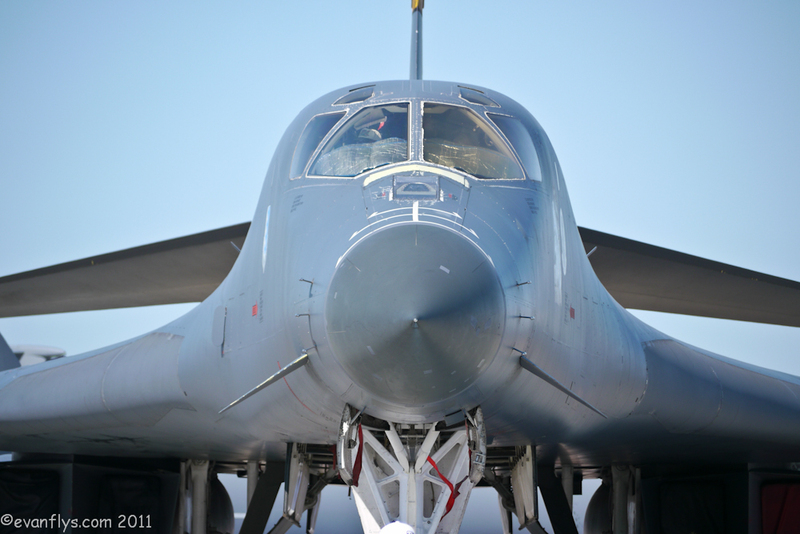 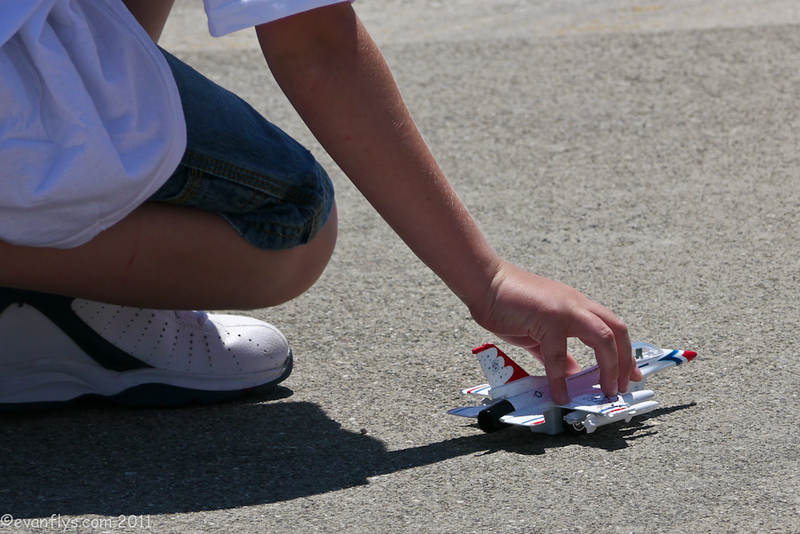 There were the Thunderbirds, a C-5 Galaxy, and even a B-2 Stealth Bomber flew by! 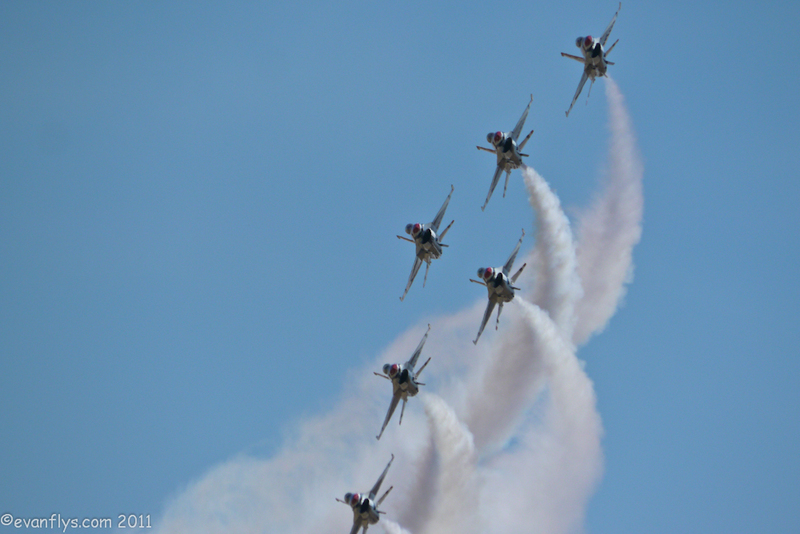 Also there were a lot of my good friends who did a great job as always! 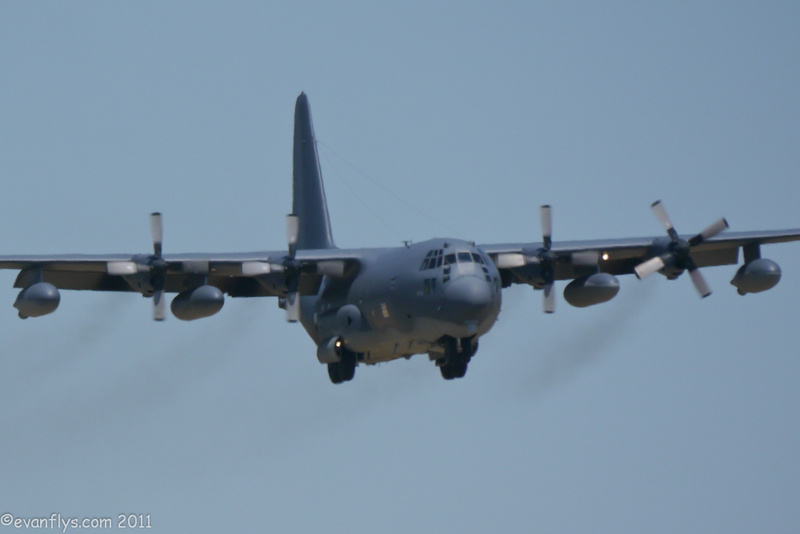 Unfortunately, due to high winds, the USAFA parachute team could not jump, but Patty Wagstaff still tore up the skies. 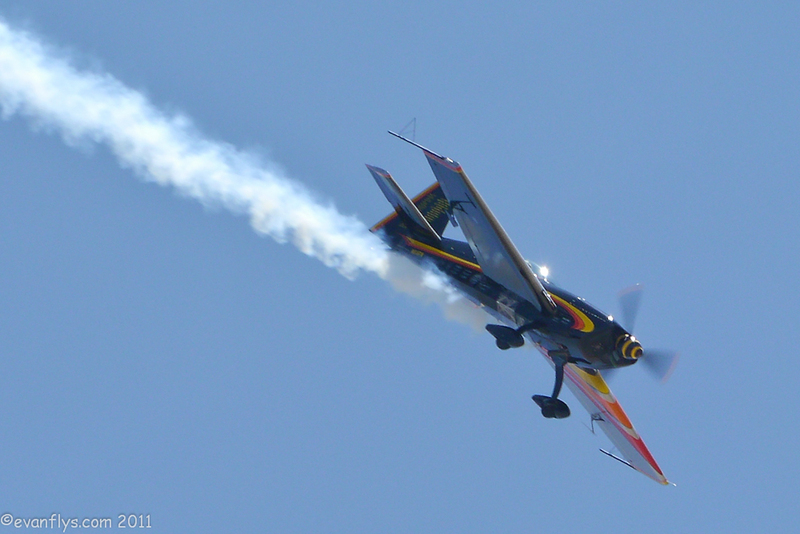 Patty Wagstaff isn't at many airshows that I've been to, so it was cool to see a new performer in action. 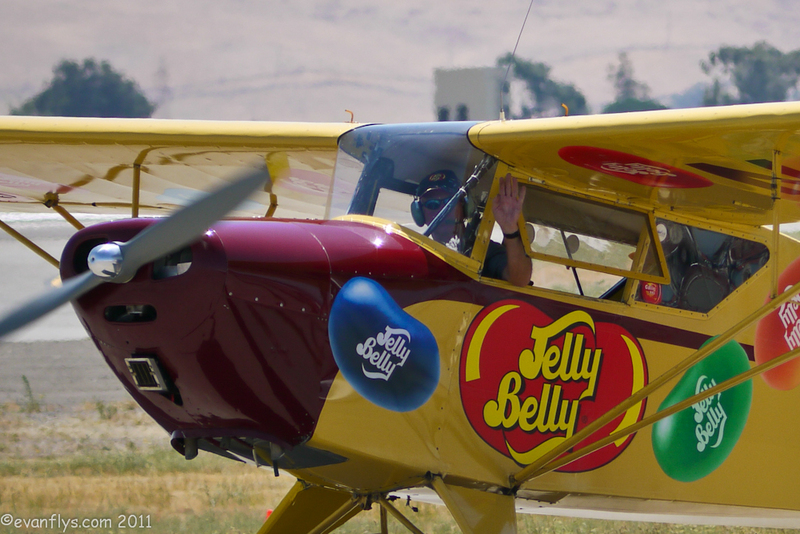 After her, Kent Pietsch went up in his Jelly Belly Interstate Cadet and did his always funny routine. 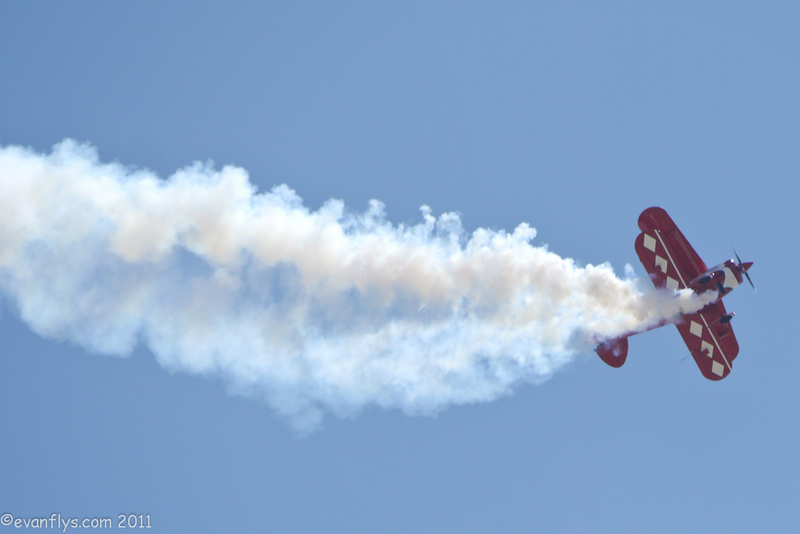 After him was Eddie Andreini, in his heavily modified Super Stearman. 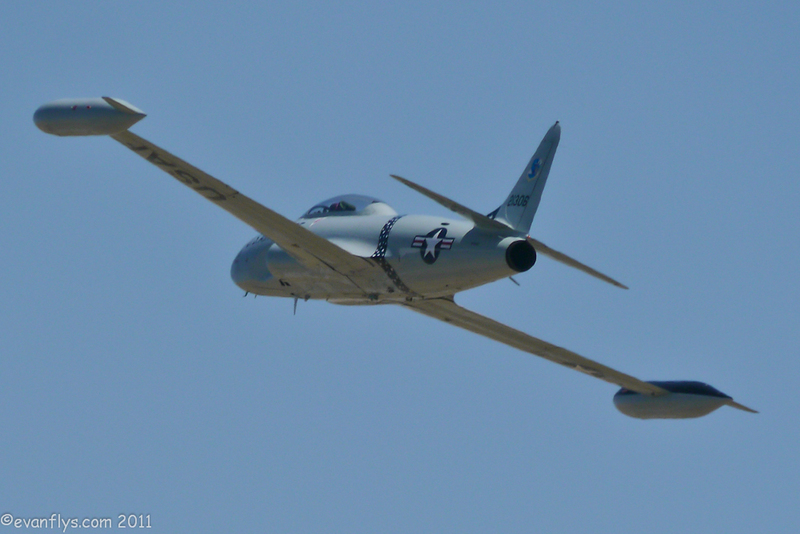 Eddie is in my opinion one of the greatest performers, and he definitely earned that title zooming around the sky, doing loops, rolls, lomcevaks, and hammerheads. 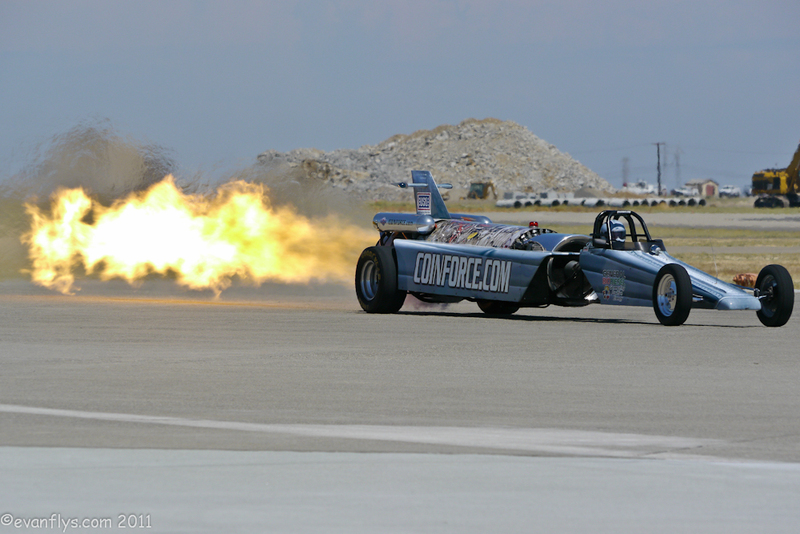 After him was Bill Braack in his incredible 10,000 hp Jet Car. 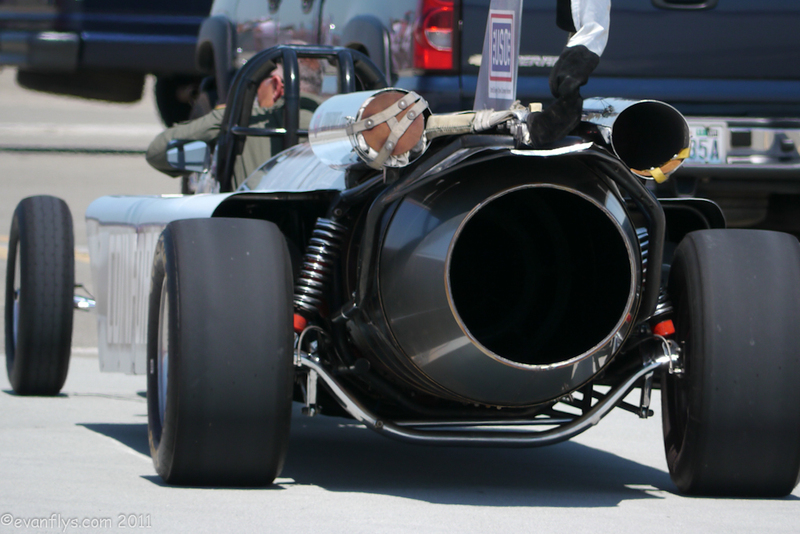 It was amazing, seeing a dragster fitted with an afterburning jet engine racing across the tarmac! 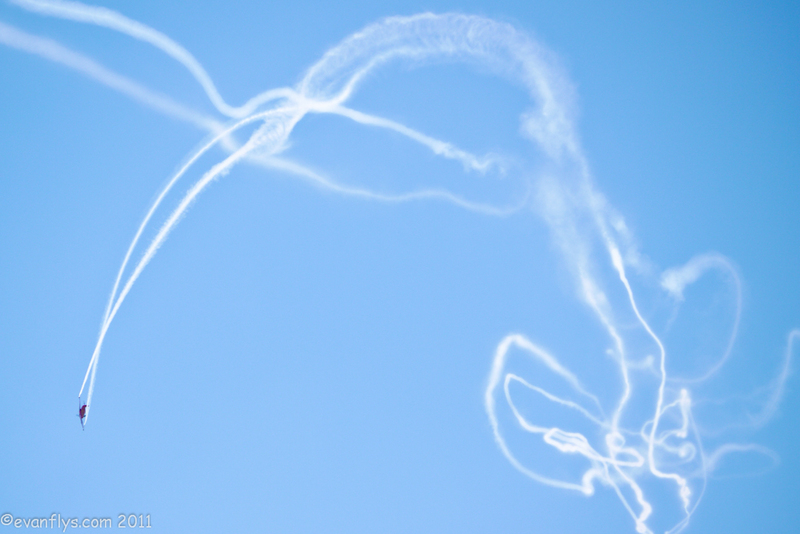 Next up was Steve Stavrakakis doing an aerobatic routine in his unique IAR-823. 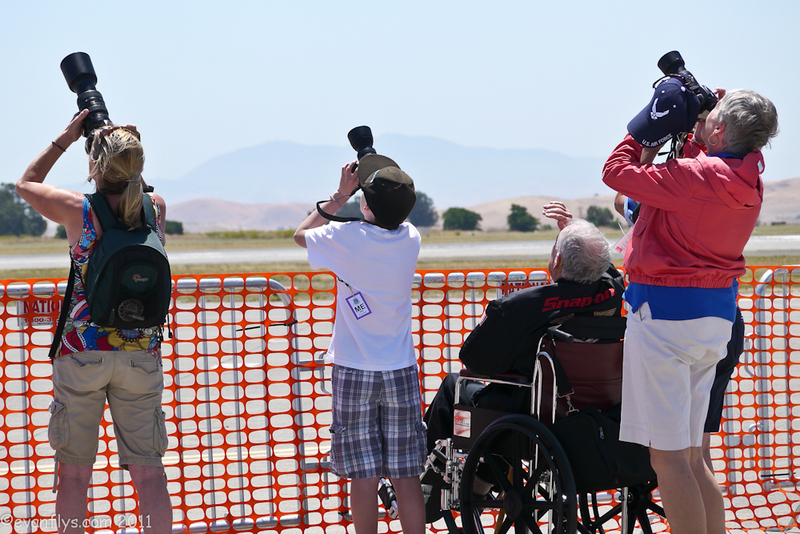 Steve usually announces at airshows, but this time he was performing in it himself, doing an excellent job. 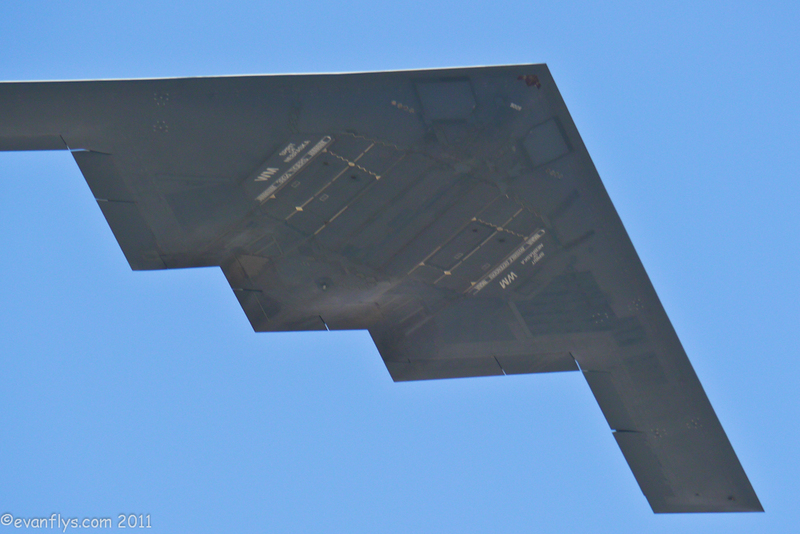 Then the B-2 Spirit stealth bomber flew by, demonstrating American air power as it quietly flew past. 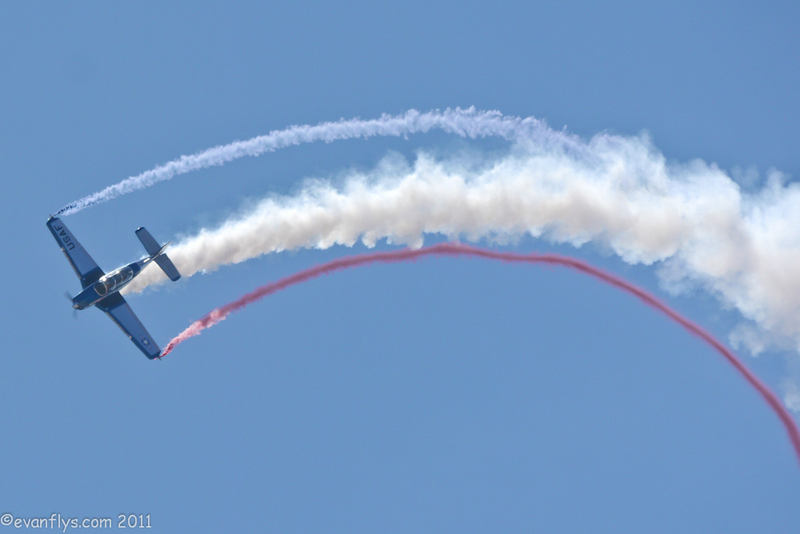 After that came Evan Wolfe in his T-28 Trojan, doing a great job tearing up the skies! 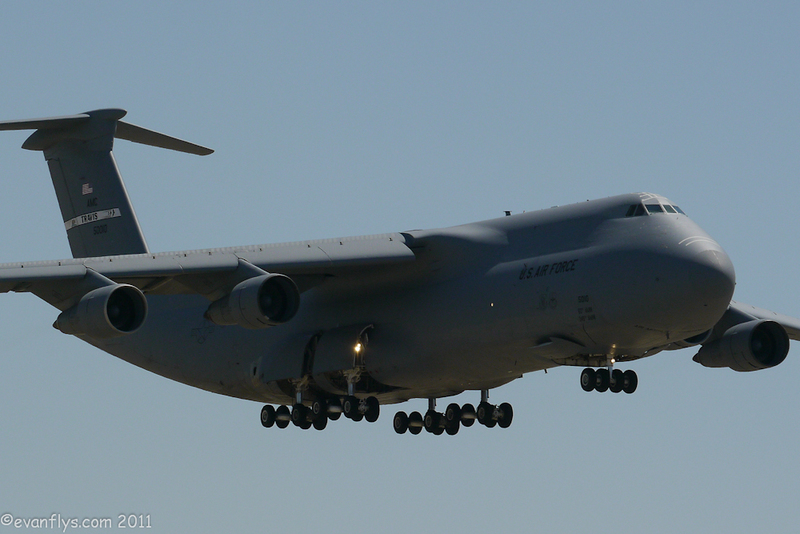 And then came the big boys; a KC-10 Extender, C-5 Galaxy and C-17 Globemaster III. 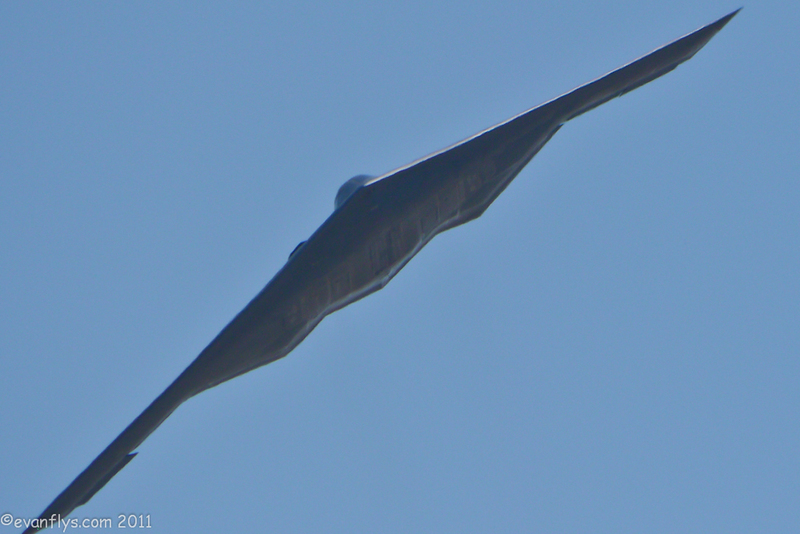 They roared overhead, with their huge profiles almost blocking out the sun! 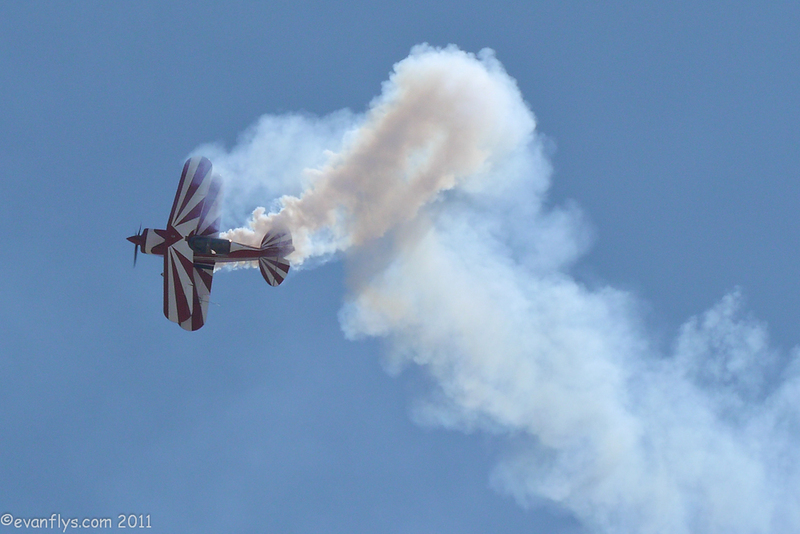 And then came Tim Decker in his Pitts Special, incredibly shredding the skies over Travis. 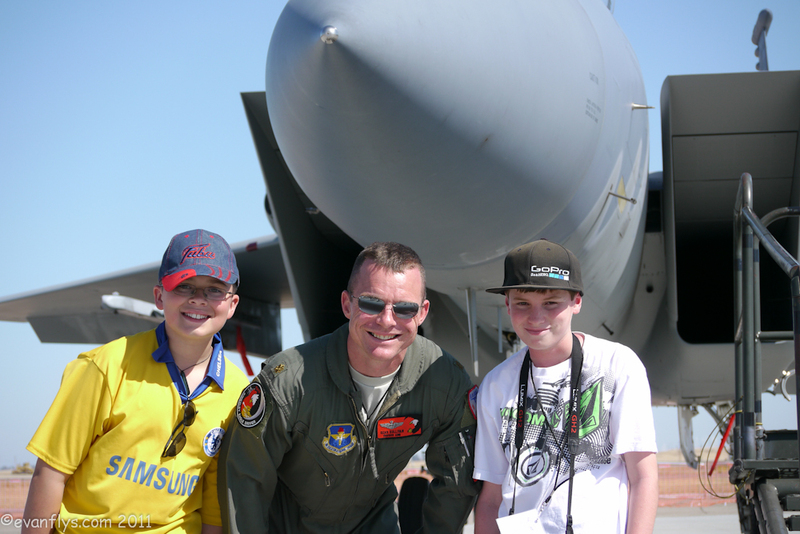 He did snap rolls, loops, everything you can think of Tim did! 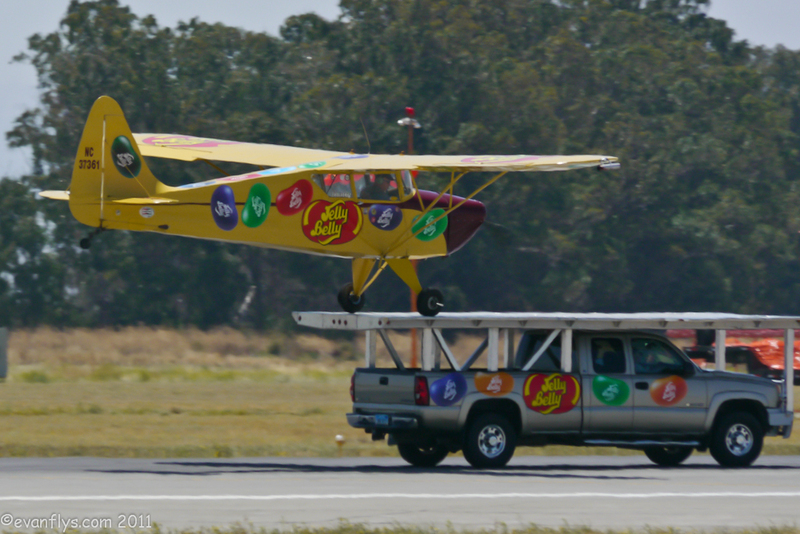 Next up was Kent Pietsch landing on a moving pickup truck! 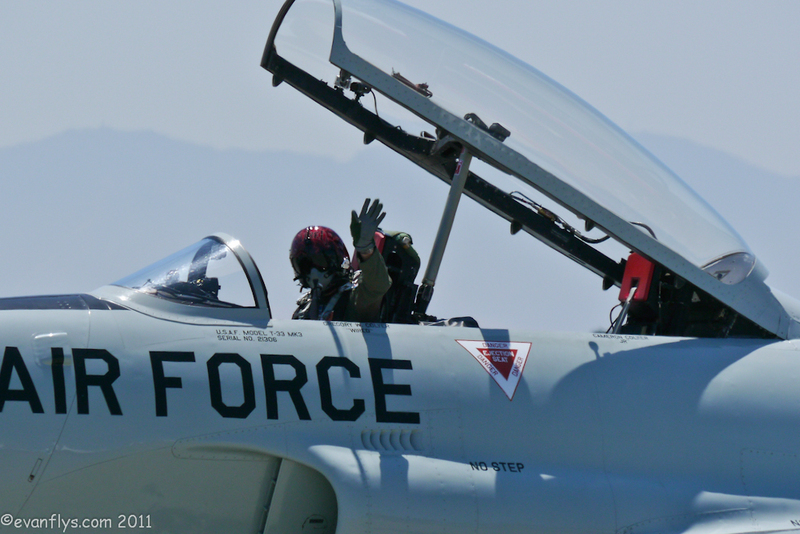 I don't know how he does it, but he must be a great pilot to do so! 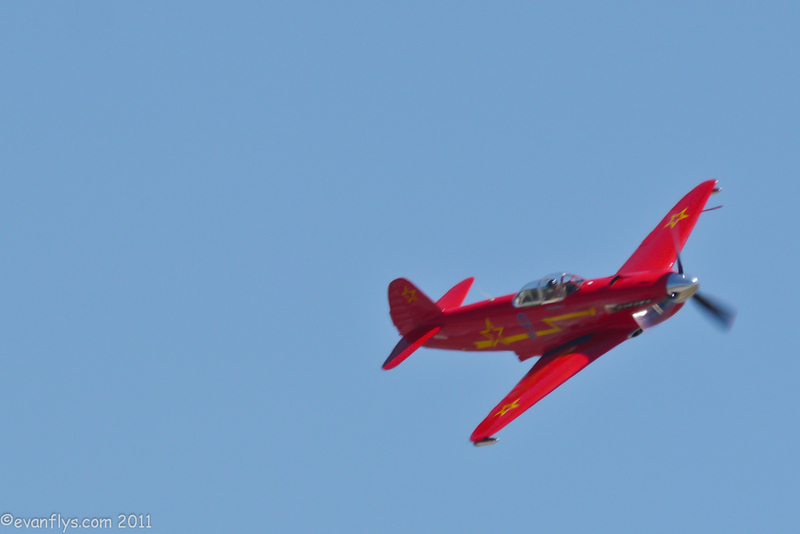 Then Eddie went up again, this time in his beautiful YAK-9U, doing an amazing aerobatic routine. 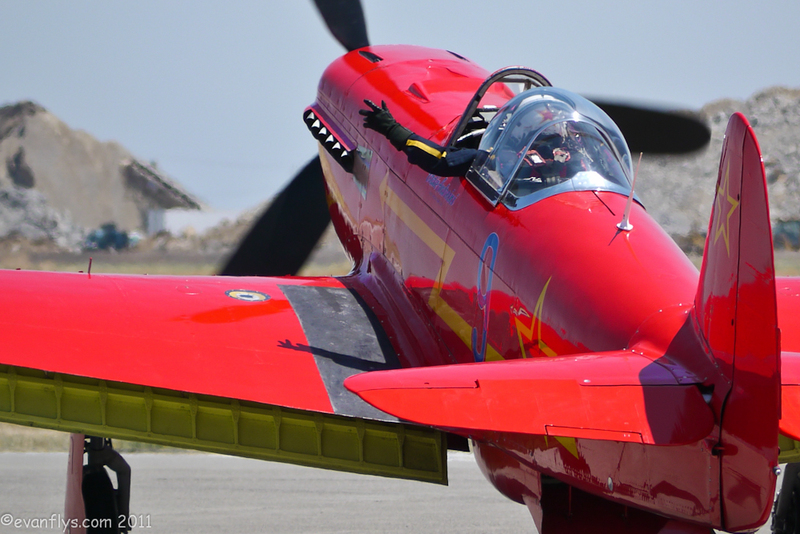 Eddie will soon be getting a P-51 Mustang, so be sure to be at another of his shows because soon he'll be doing aerobatics in it too! 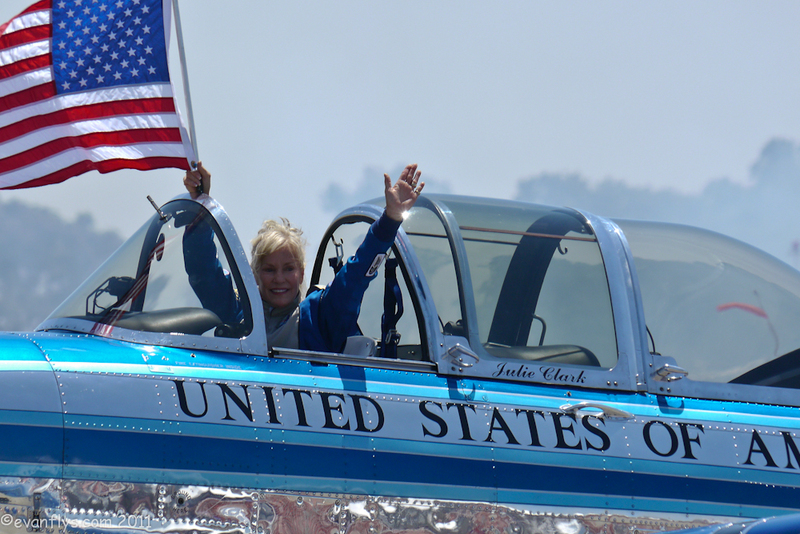 After him was Julie Clark in her gorgeous T-34 Mentor painted like Air Force One. 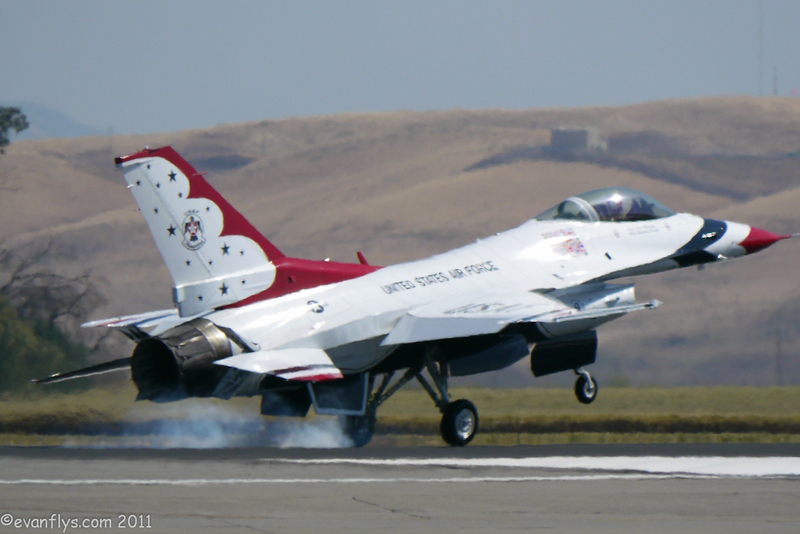 She does a very patriotic routine, and an amazing one. 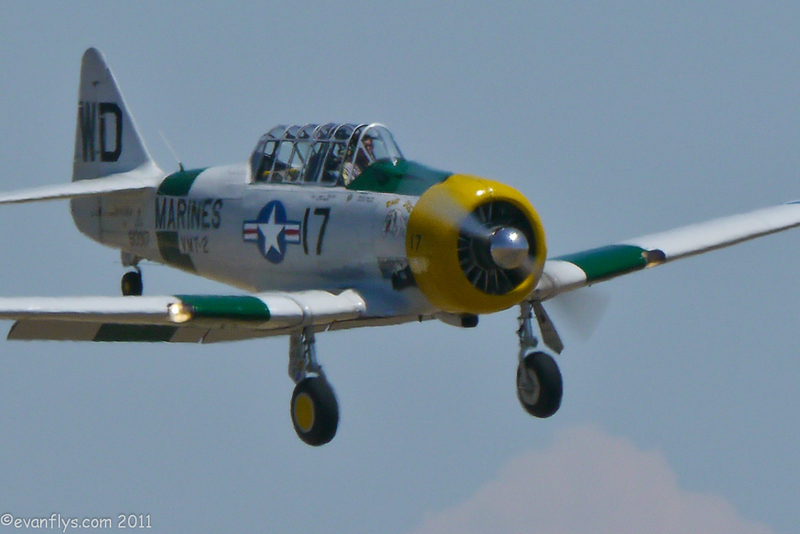 After Julie came John Collver in his cool AT-6 Texan, “Wardog”. 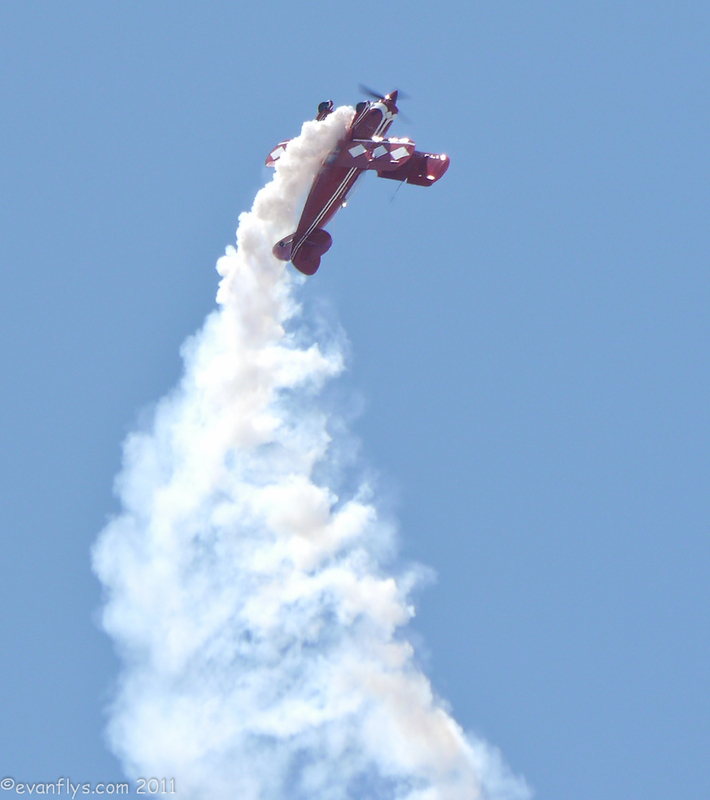 He couldn't finish his act because of a grass fire, but what we saw was really cool! 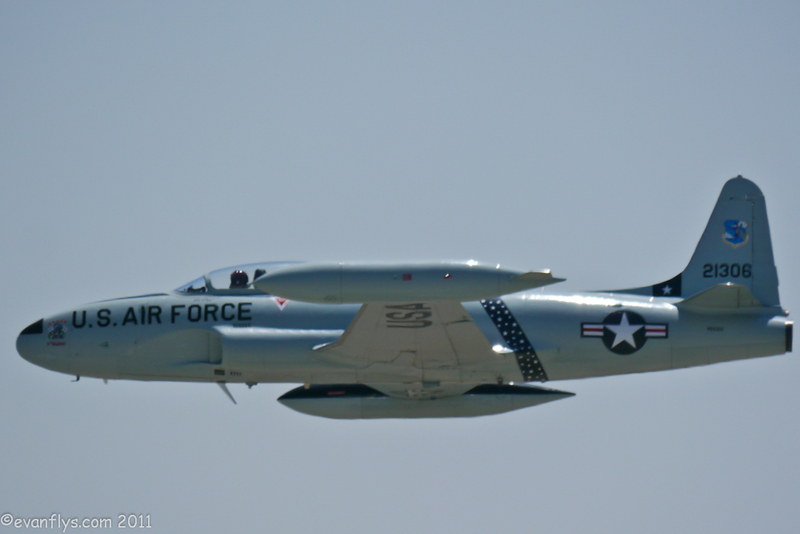 And next was Greg Colyer in his stunning T-33 “Ace Maker”. 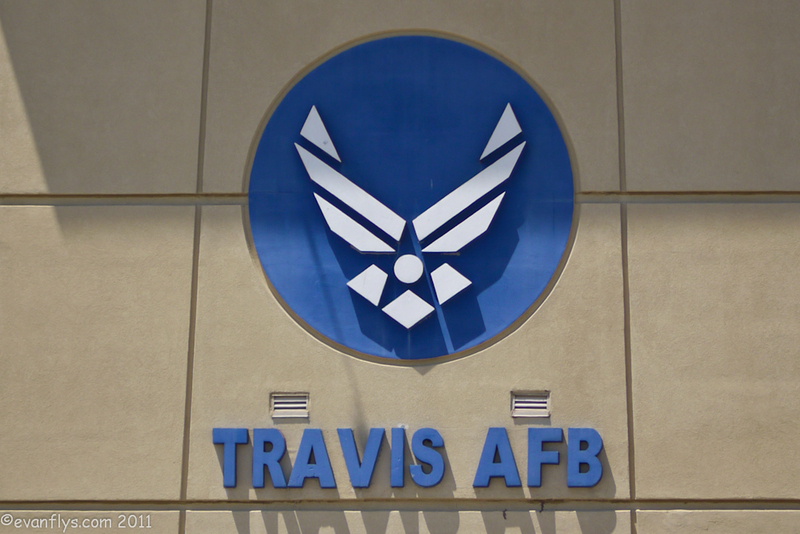 I had flown with Greg to Travis on Thursday, so it was cool to see him fly from outside the cockpit. 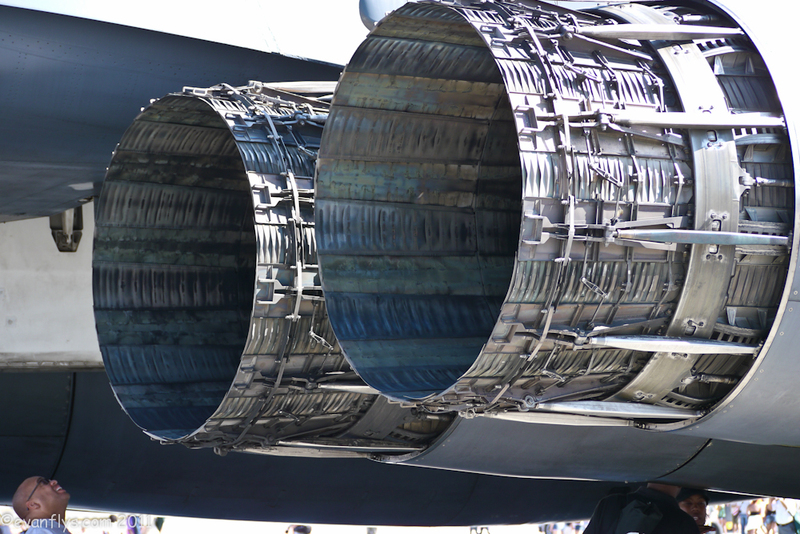 More like amazing. 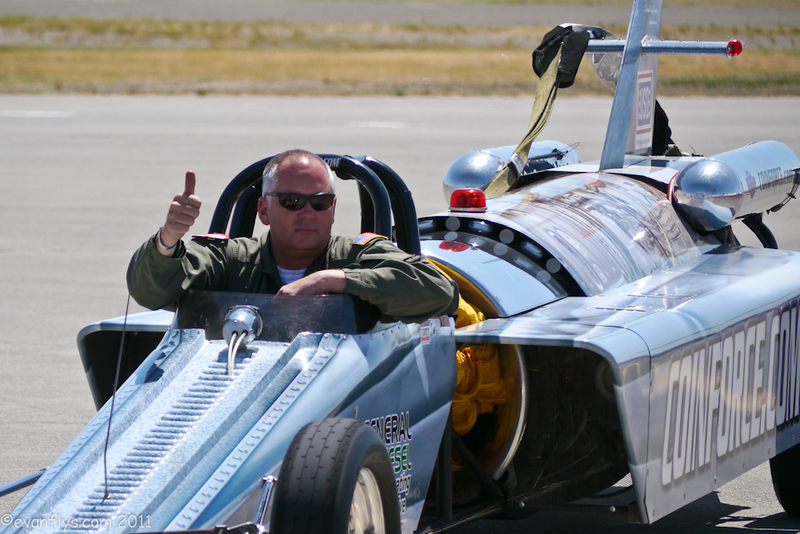 Greg does a great job with his T-bird, and everyone loved it too! 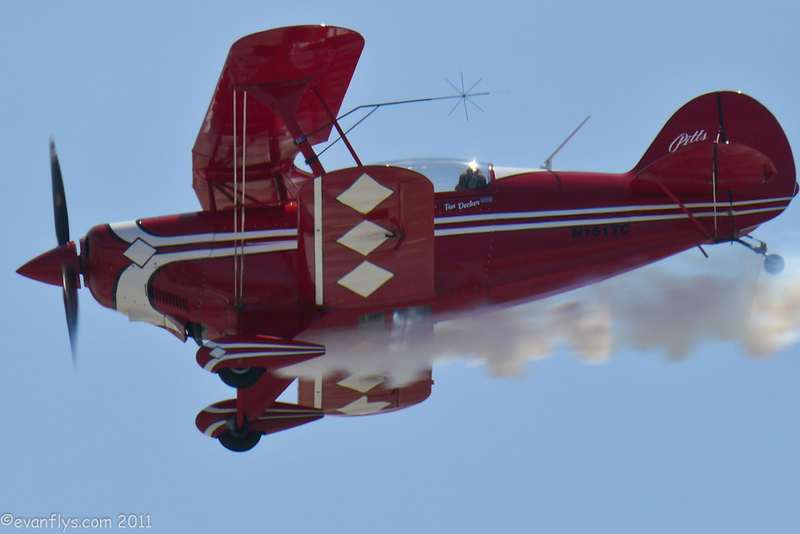 Then Patty Wagstaff went up again in her Extra, ripping up the skies! 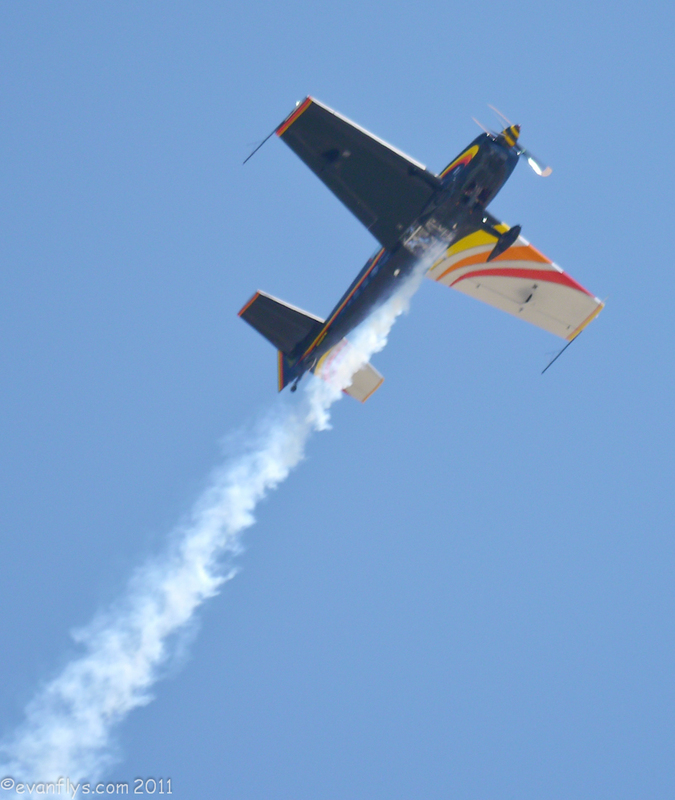 And then Kent Pietsch went up for the last time in his Interstate Cadet, landing in the announcer's hand from 7,000 feet with no engine! 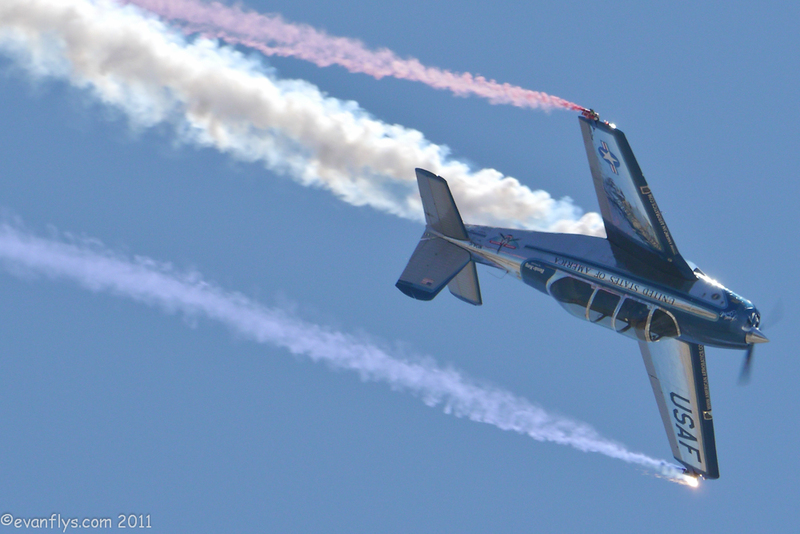 That is his most amazing routine, in my opinion, and I'm always amazed that he can do it! 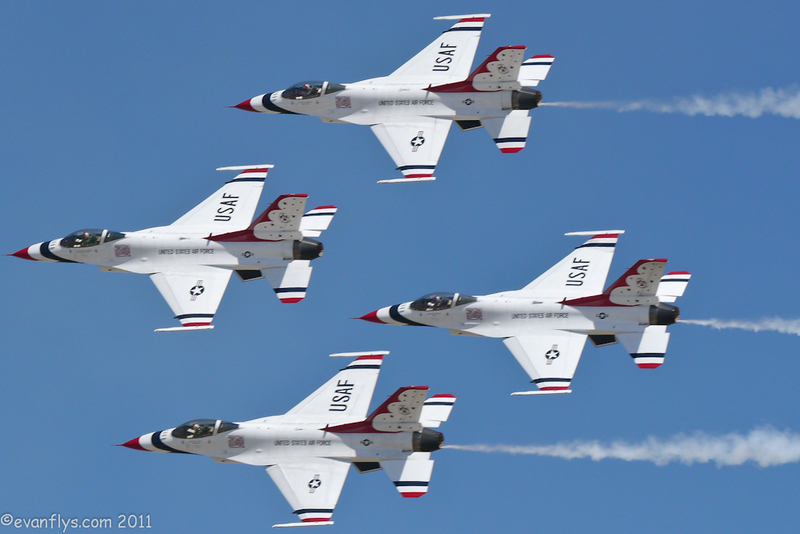 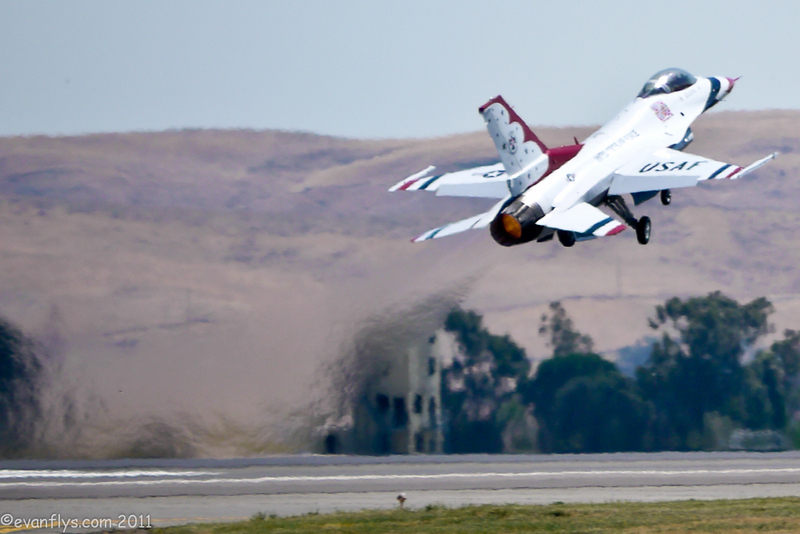 And next were the Thunderbirds in their gleaming F-16 Fighting Falcon jets. 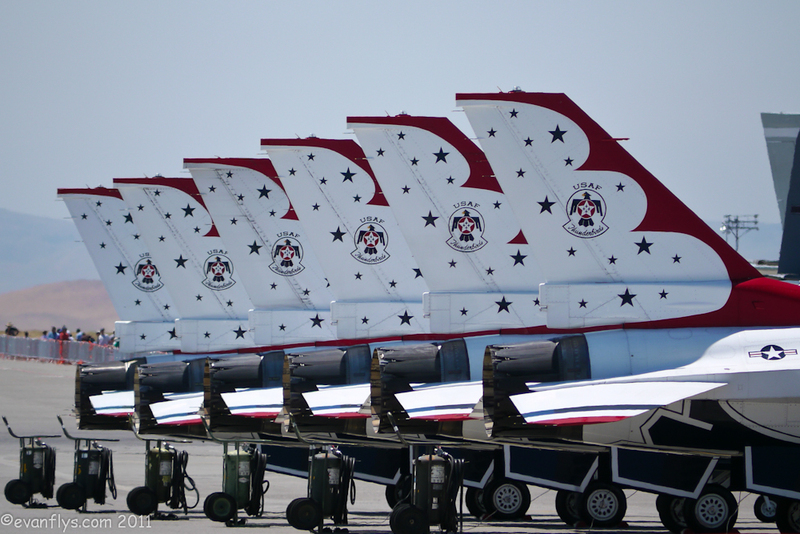 As they streaked by, I could hear a collective gasp from the audience as Thunderbirds 1-4 rolled and looped all in sync, but that gasp turned into a WOAH! 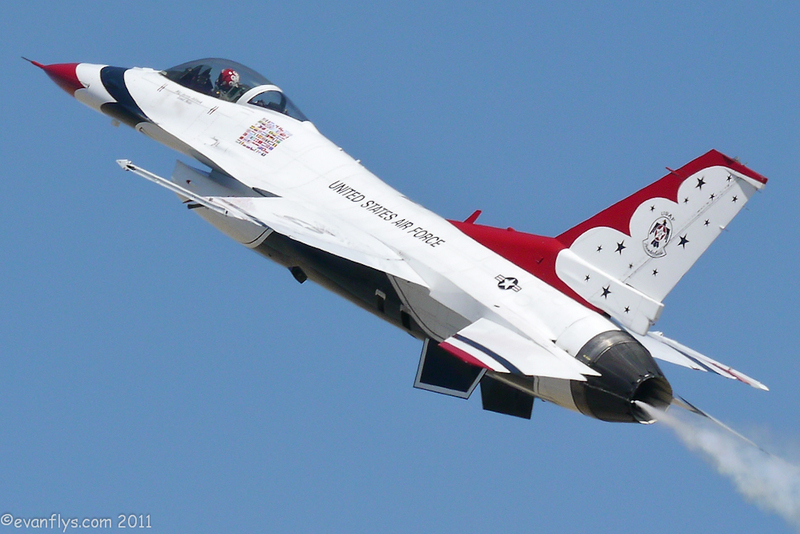 As Thunderbirds 5 and 6 did a sneak pass! 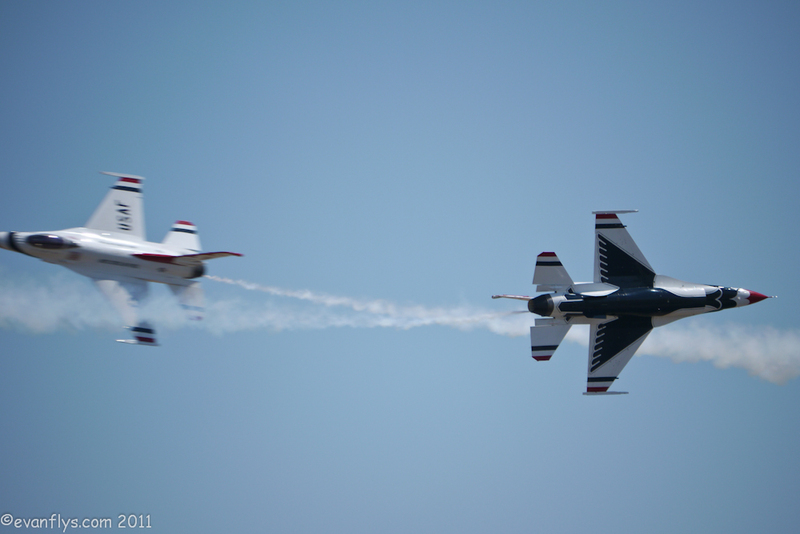 In all, the Travis 2011 Air Expo was a great show from start to finish. 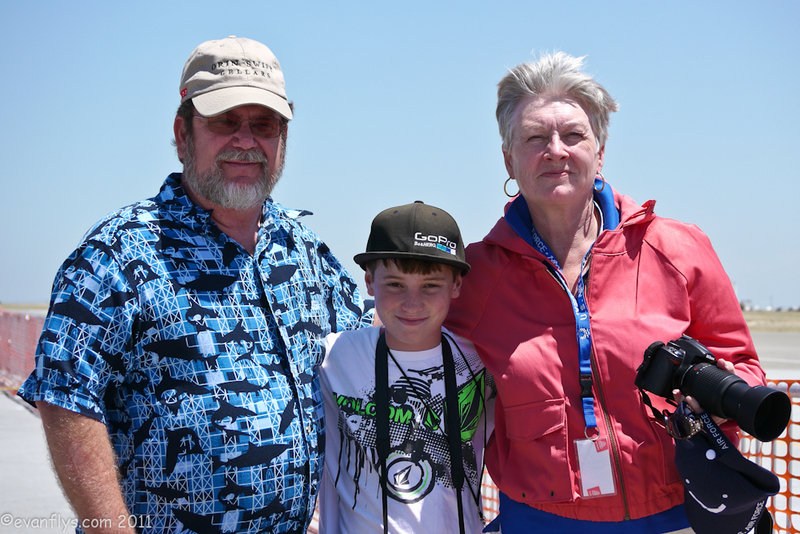 My New Zealand friend David came along with us, and it was the highlight of his trip to America, and one of the highlights of my summer! 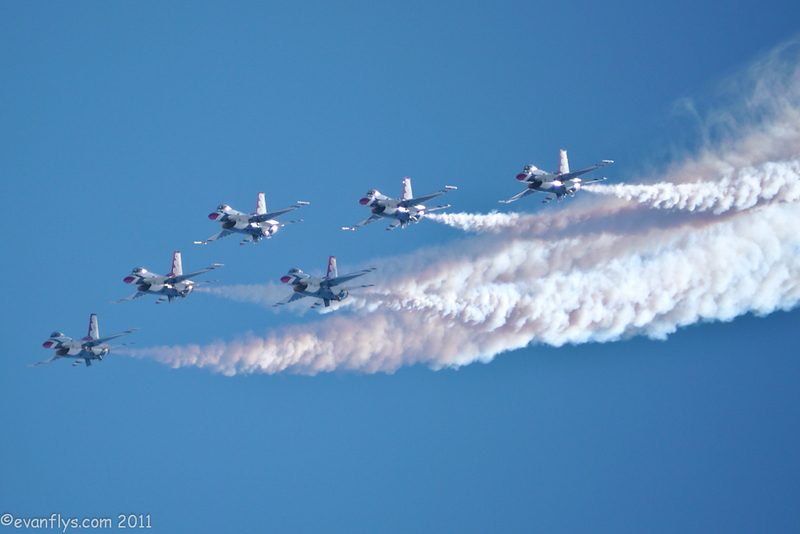 It was amazing, and I hope I see you at the next Travis Airshow! 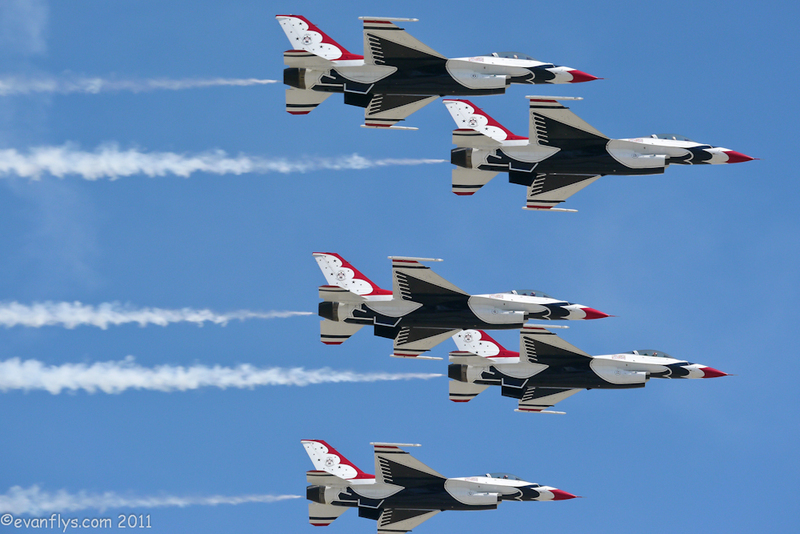 The top flying pictures I took with our Panasonic GH2 and a 100-300mm lens. 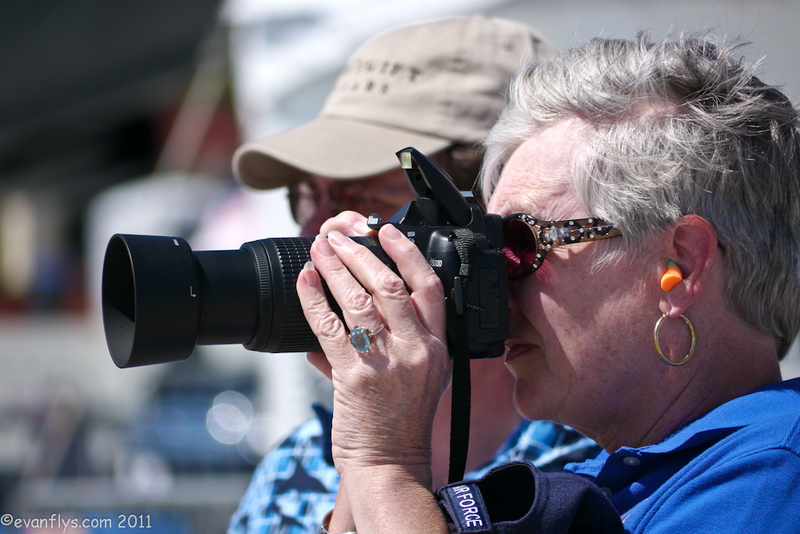 The bottom pictures of mostly people are ones my dad took with our Panasonic GH1 and a 45-200mm lens.